I get a lot of questions, and this one about distinguishing between intuition and other thoughts is one of the most common so I know it’s a real sticking point for people. Once the answer comes to you, if it came from your intuitive mind you won’t have any lingering doubts. You’ll feel sure and you’ll feel it directly in your gut. If you enjoyed this post please share it on Facebook & Twitter. Thank you. Day 29: How Do I Break Away From the Fears That Haunt Me? Wanna “Pin” this quote? Sure – go ahead! Father's Day: Sometimes You Have to Call it "Quits"
I remember when my kids were younger, reminding them to listen to that little voice in their head when they were about to make a good or bad choice in life. Now years later my yogic studies has strengthened the connection to my own little voice inside. The trick is to create the space & time to listen. So nice meeting you! Welcome to PbI. Perfectly said: The trick is to create the space & time to listen. Thank you so much for sharing this helpful comment with us here. I think others will benefit from it immensely. For me, it’s that “feel good” or “settling” feeling in my entire body & being, right through my core. It’s like a total relaxation. That’s when I know my intuition is on! Not to say that doubt won’t creep in later, that’s when it can get tricky for sure. Great stuff Angela. Thank you so much. I’m glad you found this post informative and helpful. That is when it gets tricky and you have to really hang on and remember the “settled” feeling you got so that the rational mind or ego doesn’t try to talk you out of it. Thank you so much for commenting and sharing your insight with us. Thank you so much for commenting and sharing your insights with us. Ironic that I was pondering this very question yesterday morning. After thinking about it for a while, I remembered something from a couple of years ago that your readers might find helpful in distinguishing the yes from the no in making a decision. Back then, I was doing a lot of scripting, per Abraham Hicks technique. It worked so well it was almost spooky. During that time, I connected with a wonderful guy online. We communicated for a couple months and then agreed to meet. So I set about scripting our first date. The words flowed so smoothly and sweetly, all was well, until I wrote the last line, “He wants to see me again.” Right then I felt like I’d been sucker-punched. My emotional level plummeted 50 percent, as if I’d just written the biggest lie of my life. Naturally, I tried to talk myself out of the feeling, because I really liked the man. I still went through with the date. He was warm and funny and outgoing, we seemed to be getting along quite well, but then near the end of the date he began to get cold and distant. Being mindful of “creating my own reality” and “law of attraction,” I kept my thoughts positive but was acutely aware of what was happening. When we said good-bye, he didn’t ask to see me again. When I got home, I re-read my script. Everything I’d written had come to pass, except that last line that my intuition had known was a lie but I was too stubborn to listen. When you script, think of your fingers as instruments to divine what’s in your subconscious, which is where intuition tends to reside. If you’re making a big decision, write down everything about it, create a scenario of how you imagine it to be, and then pay attention to how you feel as you’re writing, or afterwards as you’re reading. If you feel like you just ran into a brick wall, if your solar plexus begins to harbor anxiety, if you begin to argue with the feeling that arises and try to convince yourself it’s otherwise, then that’s your intuition either advising you, or warning you. You do need to follow your own advice. Our body, fingers included, are barometers of the intuitive mind. If you stomach drops and you feel “sucker punched” while writing your script – you got a reaction that you are meant to pay attention. Great comment and extremely useful information for everyone here. Thank you so much for sharing this great advice with us! I found your great post surfing Melody Fletcher’s tweets this morning. Thank- you for sharing these fine points of intuition. I love intuition and this built a greater rapport and trust strengthening with my own. Peace, fun, joy, love. 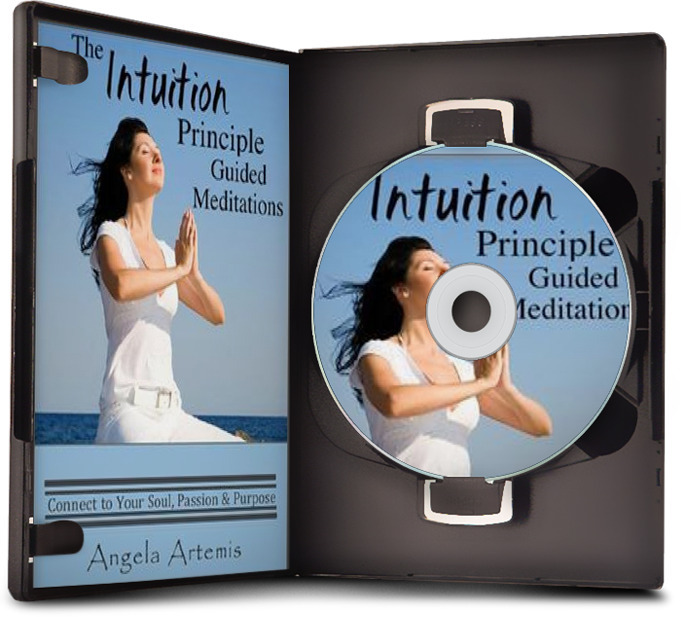 It’s a pleasure meeting you and welcome to Powered by Intuition. This is such a wonderfully clear explanation of the difference between our head and our heart speaking to us. I’ll be referring people to this post often. I frequently get the same question. Most people don’t want to believe their intuition so they tell themselves that it’s their intuition that’s questioning the answer. I remind them that our intuition doesn’t question. It simply answers our questions with the truth, whether or not we like it. I’ve also had too many experiences where I’ve followed my head instead of my heart/gut and it has only led me to repeat the same issues over and over. Once I was brave enough to do something different, get out of my comfort zone and actually follow the messages that I received did life get a whole lot better. 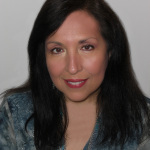 Angela, thanks for being such a wonderful resource!! 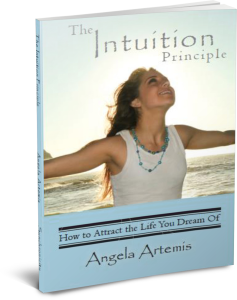 You have a wonderful history of following your intuition! I too have learned from my mistakes. You are very brave and great role model. I wish I’d moved to New Mexico when I was being called to it! I’m so glad you’re tuning into your gut! We have so many of the same chemicals in our gut as in our brain that it is the second processing center for registering information in our bodies! Yes, I totally agree too. It is hard to act on some of the things that seem so illogical. OOh, I’d love to hear all about the results you’re getting Julie! I just KNOW when my Intuition is kicking in. Sometimes I feel a tingling on my skin, or a quickening of my heartbeat or a funny feeling in my ears. Or a tickly feeling around my lower abdomen. But there are times, Angela, when I actually hear a voice. 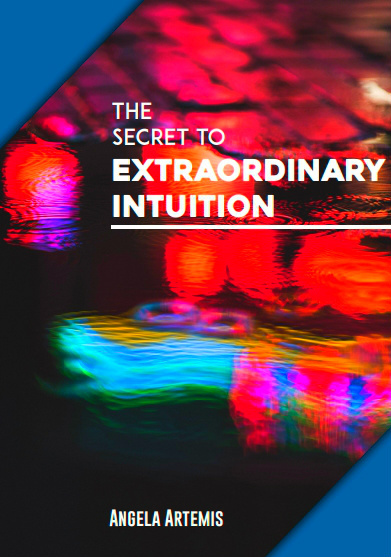 What a beautiful feeling Intuition is! Wow, you are really tuned into your body. That’s excellent! I usually hear a voice more than feel it in my body – other than in my gut. I like how you refer to being “radically honest with yourself” — I thought of Brad Blanton’s book Radical Honesty when you said that, and that book and the people around me who practice the ideas in it have been very transformational to me. I’ve found that having honest interactions with other people around me also help me to be honest with myself about what I really want and what I’m avoiding. I’ve not read Brad Blanton’s book but, I love the idea. I believe being honest with ourselves and other can transform us. You’re so right, if we are honest and drop all the falsities we will discover who we really are authentically at our core. When we are authentically “us” we will form relationships with the people who truly get us not the ones that were attracted to our false selves. I think it’s a much better way to live.